While Samsung has been teasing us with a flexible phone for over a year, we’ve recently also started to head about other manufacturers dabbling in the futuristic tech. For one, Xiaomi straight up showed us footage of a foldable prototype phone, and Huawei has also been vocal about wanting to join in on the fun. 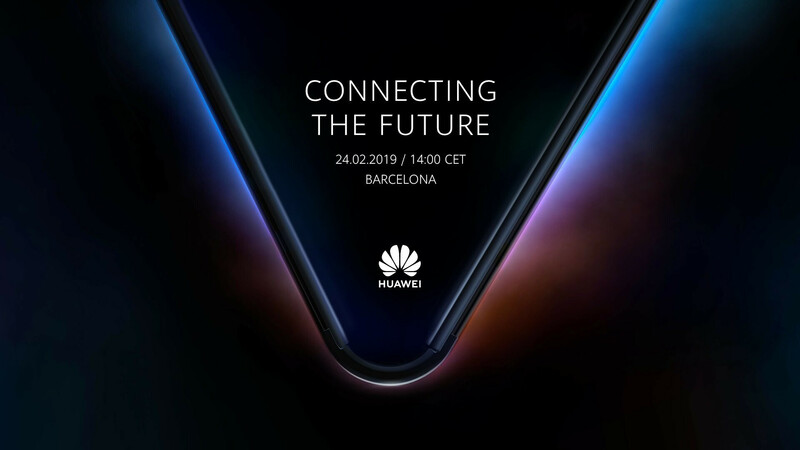 A week ago, Huawei’s Consumer Business Group CEO — Richard Yu — straight up confirmed that the company will be showing off its own foldable smartphone on this year’s MWC (in the last week of February!). This would directly compete with Samsung’s long-awaited reveal of its own Galaxy Fold. 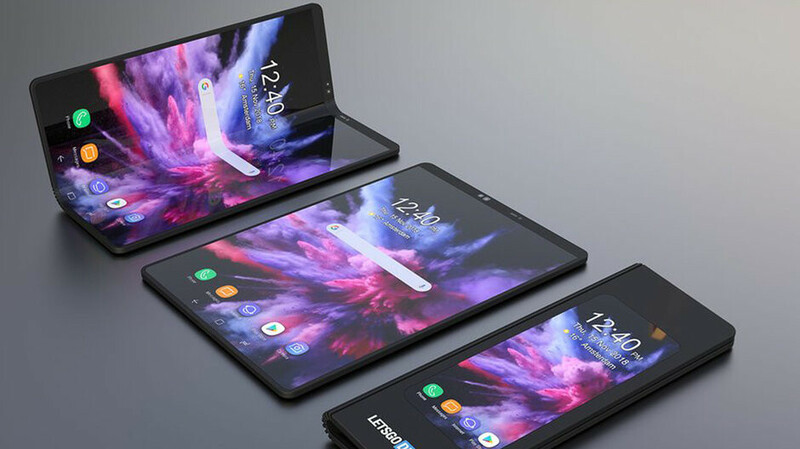 When it comes to foldable phones, we’ve got two options — either have a device that folds in on the display, kind of like a notebook, or have one that folds outwards, basically having the display cover the front and back of the phone, wrapping around the side. Tech pundits and fans alike are much more excited for the latter option since it would allow for a much cleaner device that could potentially have a dual screen mode with new ways to interact by tapping on the back, or simply flipping the folded phone around. Reports say that Samsung did want to make a phone that folds outwards, but was unable to get it ready for this year. Reason being that outwards folds put a lot of strain on the display, as it needs to stretch multiple times right at the point of the bend. This creates durability concerns. So, instead, Samsung has chosen to go with a device that folds in, like a notebook, and has another display on its outer shell, which allows you to use it as a regular handset when it is folded. Even the prototype, which Samsung teased us with at its Developer Conference, 3 months ago had this exact design. Is Huawei ahead in the game? 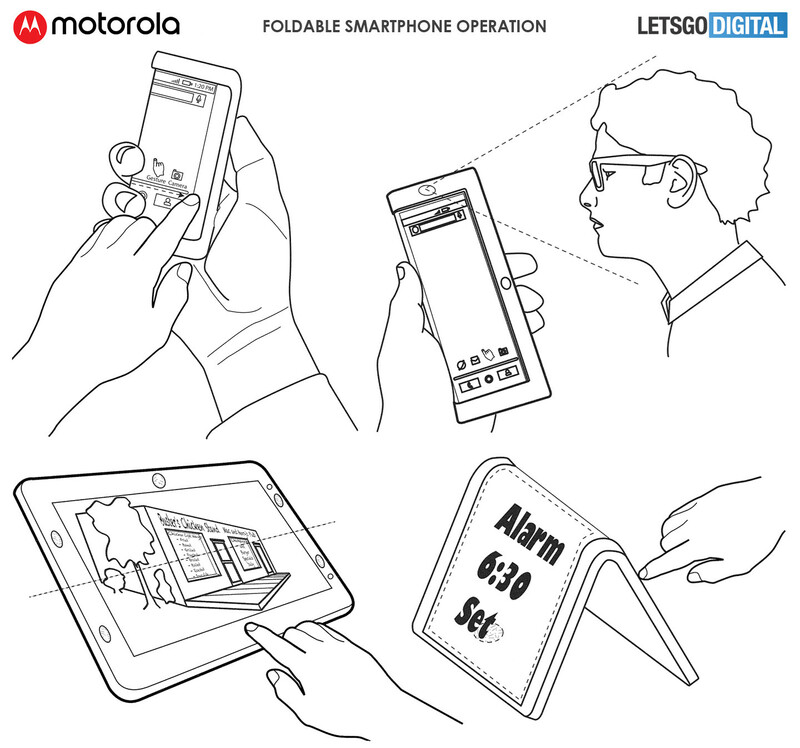 The tweeted image clearly shows us a phone that folds with its display outwards. Basically, Huawei is low-key throwing shade at the competition. Of course, this could be just an announcement and a demo. The phone itself may take months or maybe a year to release. We’ve seen this before — manufacturers that don’t want to stay out of the game for too long will announce a device that’s nowhere near ready for mass production, but they just need to let their fans know that it’s coming. Apple, for example, announced the Apple Watch six whole months before it was ready to sell it. The company just knew it was a bit behind on the wearable market and needed to let its customers know that something is coming. In any case, our excitement for this year's MWC just went from 11 to 12! Of course, we will be there to cover these futuristic jewels first-hand. Samsung foldable phone appeared in an AD , check it out , its AMAZING! A lot of conceptional stuff appeared in that ad. Like the Samsung Ultrasound Scanner. Don't take it at face value. Still waiting for apple’s foldable phone. Gonna get one for sure without doubt. @peaceboy apple foldable? Apple can't even increase the ram and battery capacity for years. Wait 'til 2030 when all of us here already got tired of foldables. Why do you want more RAM for iPhone when its 4GB of RAM keeps just as many apps as an Android phone with 10GB of RAM does in the background? Because they said same thing on iphone 5s and now its lagging? @aruminiumaian let's see: apps are getting bigger on every update which means more features that will eat ram, cpus are getting faster and small rams can give bottle neck effect, games are going 64bit all the way which means more taxing to gpu and ram is there to assist in loading, you need more allowance ram for upcoming apps that you will download, or maybe 4gb ram should say goodbye to $1000 gadgets because ram is getting cheaper and it's a shame if they're still in expensive flagship phones? iDiots said the exact same thing when iPhones have 1GB of ram. They are so proud of Apple making so much profit on them. I prefer the trifold of the xiaomi prototype. But the screen folds out, i see a lot of screens getting scratched up. As if Samsung's method will be any more resistant to scratching. well if the display is folded then the main big screen will be protected. really not hard to visualize that. I now think of modular concept, why not two separate screens that will run as tablet when attached magnetically. Instead of forcing these concepts in consumers throats, go slowly until the tech is really ready for the mainstream. Samsung already have tech for that, check their seamless modular TV. But it need MicroLED to achieve that seamlessness, and microLED phone screen panel still years away. Meanwhile everybody's acting as if ZTE doesn't already have everybody beat with their Axon M actually available. Even if the implementation is not as finely executed this is a real product with real reviews that you can buy right now. the axon m was a disaster, and it wasn't a true folding phone, was just two screen glued together, hardly anything special considering the Nintendo ds has everyone beat by almost a decade. Hinged and dual screens are two different things. Even if Huawei's version is first to market and is excellent, it'll never make it to the US through normal retail channels and that'll be enough to submarine any chance at success. And why do they need the US, there are 7 billion people that live outside America. They seem to be doing absolutely fine without the good old US of A at the moment. With cheap low and mid tier phones, something a foldable phone will most definitely not be.